Josh Barnett of the UFC, Erik Paulson of CSW and Feargus McTeggart, head coach of Brea High School wrestling and the Brea Wrestling Club. 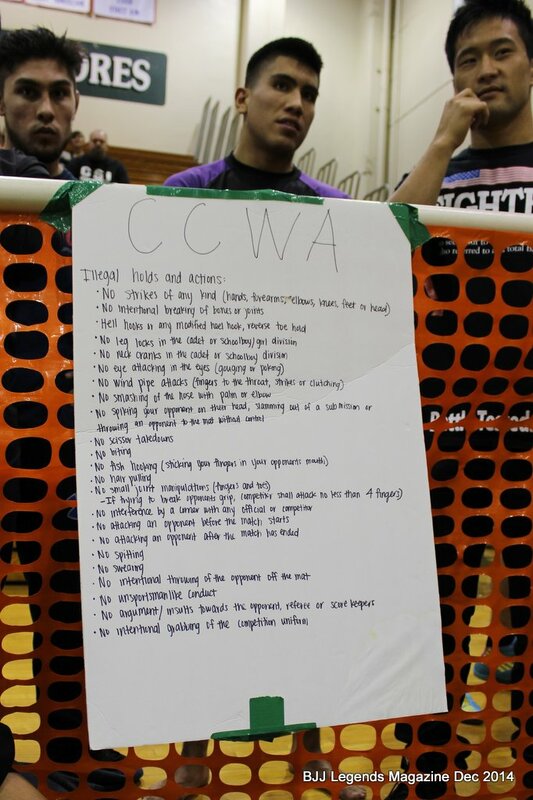 They have worked together and created the California Catch Wrestling Association, CCWA. Matches were 5 minutes long. Out of 30 some odd matches not one ended in a draw and all but one ended in submissions or pins. Neither wrestlers or BJJ guys clearly had an advantage. Wrestlers were susceptible to leg attacks and BJJ guys to the cradle and pin. -Points are scored as follows: 2pts takedown, 1pt escape, 3pts high amplitude throw or takedown. BJJ Legends: If you would talk about how this rule set prevents stalling or maybe makes it less of an occurrence. Erik Paulson: First of all, the time limit is shorter, so it makes it more of a spectator sport. The pin, people don’t jump to their guard or flop on their back because of the pin. If your shoulder is hit, you lose. So guys are fighting from the top trying to get the other guy on their back. And the submissions are faster, a little more diverse. Like right there, that’s a pin, that’s a pin right there. McTeggart: Yes, and that was part of the equation, was really to try to amp up the risk-taking because of the short time. The idea was to promote not only the submission aspect, but the wrestling, and really try to ingrain wrestling into the submission process. To immerse it in it, if you will; embed it, if you will. 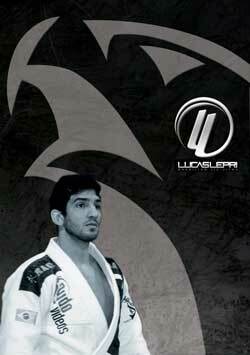 We want wrestling to be the primary transitionary part of grappling. Because in wrestling, true wrestling, freestyle, Greco, folk style, you don’t go to your back. So if you go to your back, you have a three-count to get off your back. Other than that, you can do pins. So what we’re hoping is that wrestling will then smoothly transition then into MMA, into grappling. It’s the next exhibition sport in the Olympics. We know wrestlers are specifically trained to stay off their back. On the other hand, when you’re going for submission, you might give up a take-down. But if you’re going for a submission, you can be rewarded with a two-point and/or get the submission. But at the same time, as long as you’re on your back, you’re fighting to stay off your back. So it stays really close to its origin of wrestling, and that’s what we’re trying to do. BJJL: Are the parents upset that you’re allowing submissions? McTeggart: No, it’s only for kids of a certain age. So we don’t teach it to little kids, they have to be anywhere from 18 and above. We’ve gone down as low as 14 years, which is the high school level. So if anything is taught correctly, be it karate or judo or wrestling, provided that kids are taught to respect their opponents and do the right things. BJJL: How was your turnout today? McTeggart: Pretty good, for the first time around. BJJL: Do you know how many competitors you had? McTeggart: In the submission was 20 competitors, ranging three different weight classes. We also had four girls compete, as well. BJJL: I saw a lot more submissions, nothing went to a draw, and I saw some crazy submissions. Josh Barnett: Some of the exotic stuff comes from the 10th Planet guys. They’re used to using an open, somewhat- It’s not like it’s unrefined, it is refined, but it’s very, I don’t know. It’s inventive. And plus, our environment doesn’t place a lot of restriction on submission. So we want people to go out there and come up with stuff off the top of their head, or create a killer unusual move and use it. BJJL: The cradle was messing up the BJJ guys. Josh Barnett: As far as cradles are concerned, well, I mean that’s just a- Let’s just say you’re in a fight, you get cradled up, and you get your head kneed into oblivion. So part of the reason for the pin is to help teach and refine techniques that will be useful for fighting. But if you’re getting cradled, you should be kicking out, working. BJJL: Oh, I’m going to work on it when I go back to the academy. Josh Barnett: There’s options to go off their legs, there’s all kinds of stuff. But the thing is you just cannot hang out, you can’t try to work, just sit around and wait to maybe get a reverse hold. You can’t wait to do anything, you got to be active. BJJL: Very nice. Now are you happy with the turnout? Because this is the first event. Josh Barnett: Yeah, I’m happy with the turnout. It wasn’t a massive amount of people, but we had enough to get some good pools going. And we did just that, we pooled everybody. So we round robin everyone, wrestled everyone, some people go three matches today even with only four opponents. BJJL: And the next catch wrestling tournament will be? Josh Barnett: We don’t have a set date yet, I’m sure it will be piggybacked on another wrestling tournament. But part of the reason why we want to be at these wrestling tournaments is to try inspire and show these amateur wrestlers a style that is also, it’s not entire foreign to them, that’s complementary. So I want to get wrestlers involved in getting on the mat and using submission again. And that’s the main thing about this. That and I can’t stand stalling, I mean there’s so much stalling in the grappling world. BJJL: The IBJJF is trying to change the rules, we’ve got two new leagues trying to change the rules, Rickson is changing the rules, Rigan is changing the rules, everybody is trying to get rid of stalling. And, today, I saw no stalling. Josh Barnett: The easiest way to get rid of stalling is put the power on the refs and then make them use it. And there you go, pull the trigger on people. If you’re stalling, you pull the trigger. “Hey, warning, warning.” Three stalling calls and you’re DQ’ed out of this tournament. You have no business being on our mats if you don’t want to go out there and engage, take down, throw, submit, pin these people. BJJL: Right on. Well, thank you very much, sir, and much success in your future endeavors. Josh Barnett: Thanks BJJ Legends.